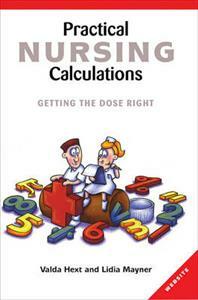 This text contains easy to understand explanations of key calculations in nursing. The many exercises offer opportunities to practise basic problem solving to help build confidence. The use of real-life situations demonstrates how maths is actually applied when working with patients. Realistic scenarios introduce common presenting illnesses and the medications used to treat them, and enables the reader to calculate their correct dosages. "Practical Nursing Calculations" provides a thorough grounding in the fundamentals of mathematics and a sense of how to apply knowledge in the course of professional duties. A sound teaching and learning resource, it is appropriate for self-directed learning or as a classroom guide.